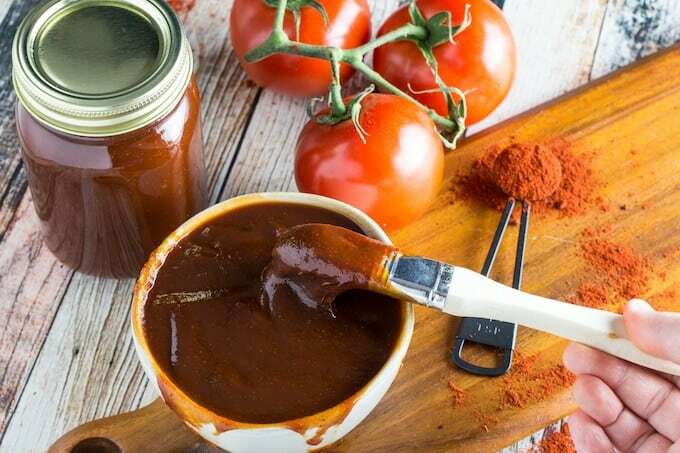 Sweet & Spicy Gluten Free BBQ Sauce Recipe is exactly what it sounds like. It’s got a sweet and smokey flavor with a spicy kick, which is exactly what we’re looking for this grilling season. And best of all, it’s really simple to make, and you know it’s 100% gluten free! BBQ season is almost upon us! And we all know the best part of any good BBQ is – you guessed it! – the sauce. Which can be a really tricky thing when you’re trying to maintain a gluten free lifestyle. Well, I’m here to help out this year. I have for you what is hands down, the BEST gluten free bbq sauce recipe you’ll ever have. Bold statement, I know. That’s how confident I am that you’ll love it! It’s sweet, and spicy, and smokey, and so good that you’ll have no problem adding it to everything that touches your grill this year. How do you make vinegar based bbq sauce? Vinegar based bbq sauce is really easy to make most of the time. The vinegar part of a vinegar based bbq sauce is what adds that really nice tang that everyone raves about. For my gluten free bbq sauce, I’ve used apple cider vinegar. You can also use white vinegar, but I really like the flavor of the apple cider vinegar. I think about 1/4 of a cup is my limit, otherwise the flavor overtakes the other balance of sweet and savory we have going here. But you can adjust it to your own taste preference. Vinegar based bbq sauce is great to add to things like pulled pork or ribs. You can also marinate chicken in it for a few hours, throw it on the grill until cooked through, then add a bit more (fresh) sauce just before serving. Delish! If you’re making this a gluten free bbq sauce, just make sure the vinegar you get is distilled and not a malt variety. I would definitely give it a read if you plan on making other versions of gluten free bbq sauce with a vinegar based bbq sauce recipe. Once you know how to make bbq sauce, you won’t ever want to buy it again! This gluten free bbq sauce is SERIOUSLY easy to make, people. Put down that store-bought jar and slowly back away. Not only can you make a large batch for about half the price, but you also get to have some control over the flavor profile to adjust it to your liking. And, you know that only wholesome, fresh ingredients get used! 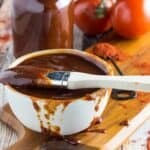 If you’re really motivated, after you learn how to make your own bbq sauce, here’s a great video on how to can your BBQ sauce. This way you can make a huge batch, and it’ll last a lot longer! Who knows, you may see your own blend on the store shelf one day! 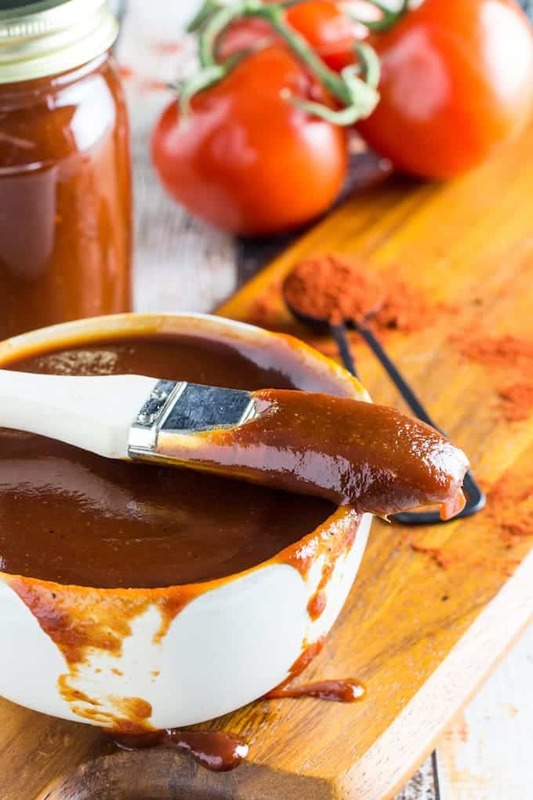 For this – the best bbq sauce recipe ever – you just need a sauce pan and a slotted spoon. All you have to do is cook up some onion, add the other ingredients and boil it for a few minutes, then pick the onions out with a spoon. 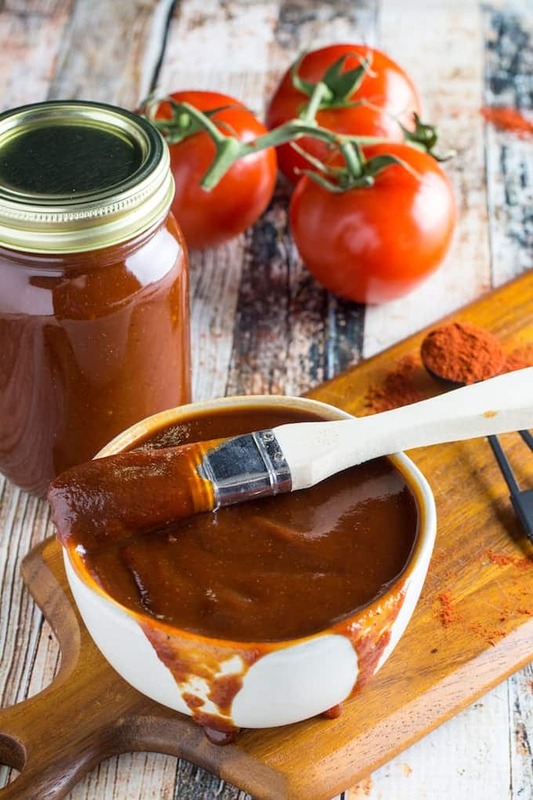 A homemade bbq sauce recipe lets you get creative! Do you like sweet sauce? Spicy sauce? Smokey sauce? Well, this one’s all three. But that’s just the point, when you make recipes like this at home, you get the chance to change things around to be exactly how you like them! For example, I have some family that would add another teaspoon or two of cayenne. And others who would throw in some chipotle peppers to really get the smokey flavors going. One of the key ingredients in my bbq sauce is rum. That’s right, I liquored it up. You can add whatever type of liquor you’d like, but I highly suggest rum. It adds a really nice flavor profile. 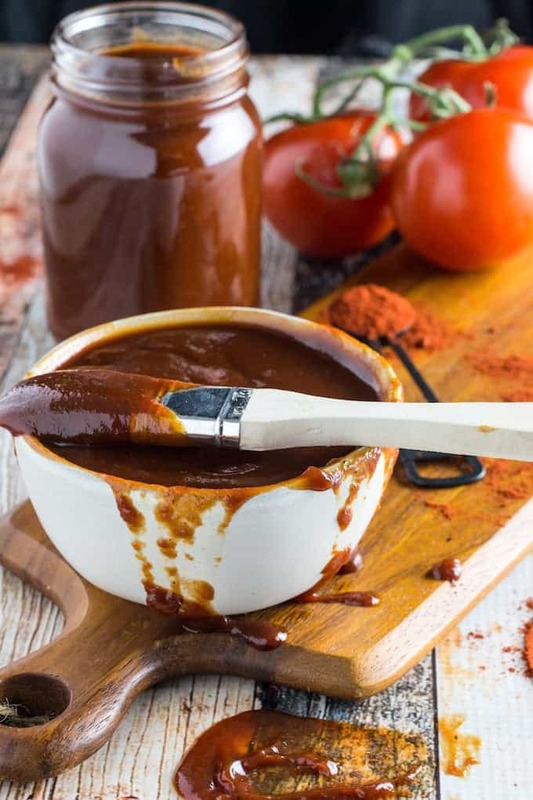 How do you make your homemade bbq sauce recipe? Let me know, seriously! I’m a BBQ sauce nerd. I need this in my life. If you have the best bbq sauce recipe on the planet hiding in your recipe book, I want to hear all about it. I might even feature it on the blog! 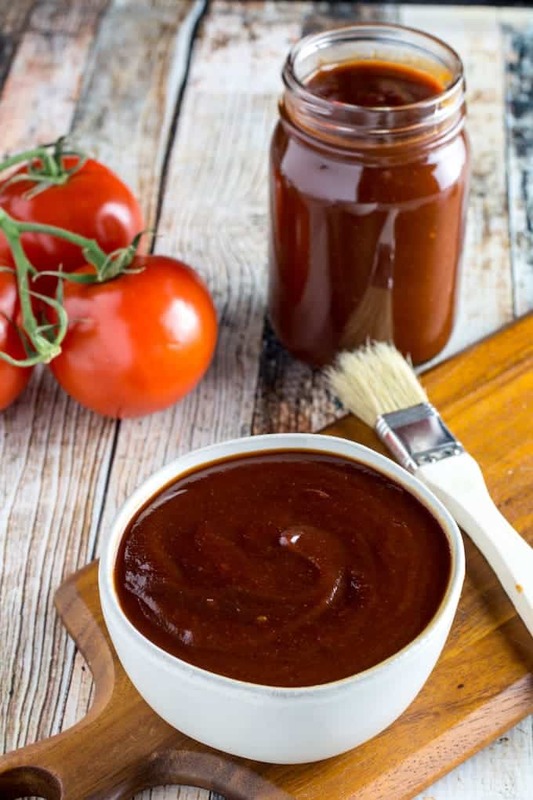 A good gluten free barbecue sauce recipe is only as good as its grill. Ok, I’m not really sure if that makes a ton of sense. But I’d feel remiss if I didn’t mention that a lot of barbecue is not gluten free, so you have to remember to check the grill before throwing your own sauce on there. If you’re celiac, there’s a high chance of CC here. Which is why my grill at home stays 100% gluten free at all times, so I can use my gluten free barbecue sauce recipe with full confidence that it will stay that way. If you don’t have that option, I’ve also been known to throw down a piece of tinfoil in a pinch. But that’s just me, you have to do what you’re comfortable with. This also applies to cooking for a loved one who needs this gluten free barbecue sauce! If you made this for a loved one, you’re pretty much the best person ever. 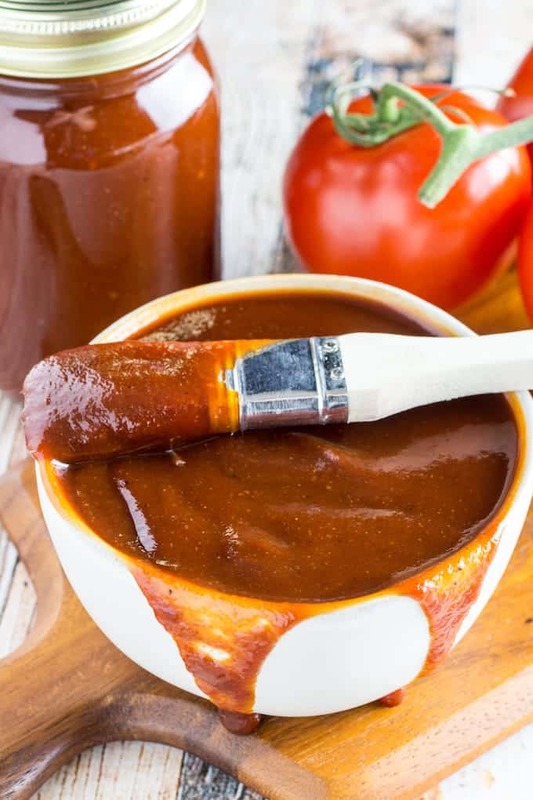 Sweet & Spicy Gluten Free BBQ Sauce Recipe is exactly what it sounds like. It's got a sweet and smokey flavor with a spicy kick, which is exactly what we're looking for this grilling season. And best of all, it's really simple to make, and you know it's 100% gluten free! In a medium saucepan add butter and onion. Cook for about 5 minutes, or until onions soften. Add rum and spices and cook an additional 5 minutes. Add all other ingredients. Stir until everything is well combined. Bring to a boil, then lower to a simmer. Cook for about 10 minutes, stirring occasionally. Remove onions with spoon and discard. Your sauce is now ready! *Make sure your Worcestershire sauce and liquid smoke say "gluten free" on the bottle. You can find them GF and non-GF. Lemon Brownies & Lemon Glaze - Gluten Free! My husband has always wanted to make his own BBQ sauce- can’t wait to try this recipe!